A driver lost control of their vehicle and crashed into a field, killing the passenger. 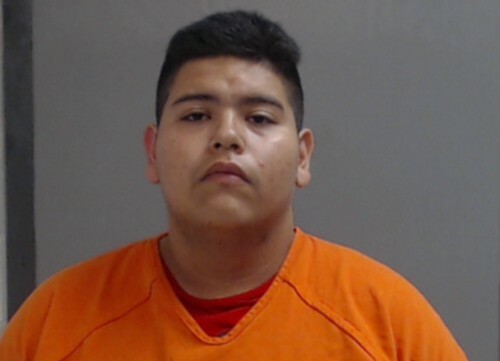 On Saturday, May 26 at 10:52 p.m., Leobardo Leal, 18, lost control of his 1997 GMC truck north of Bennett Circle while traveling northbound on Farm-to-Market 493 near La Blanca, crashing into a field. The accident ejected his passenger, a 50-year-old woman, out of the truck. The passenger was later pronounced dead at the scene. According to the Texas Department of Public Safety, Leal was arrested on a charge of manslaughter, a second-degree felony that can is punishable by up to 20 years in prison. Justice of the Peace Jason Pena has set Leal’s bond at $750,000 for the charge. The crash is still under investigation by authorities. About 90 people die each day in the United States because of car crashes. There were over 40,000 lives lost in motor vehicle deaths in 2017. In 2015, among male drivers between 15 to 20 years of age who were involved in a fatal motor vehicle crash, 32 percent of them were speeding at the time of the crash, and 22 percent of them were drinking and driving. That same year, 60 percent of drivers aged 15 to 20 who perished in a fatal motor vehicle accident after drinking and driving were not wearing seat belts. In 2016, 10,497 people died in alcohol-impaired driving crashes, accounting for 28% of all traffic-related deaths in the US. In 2016, males drivers between 16 to 19 years of age were twice as likely than their female counterparts to get into an accident. Unsupervised teenage drivers that are driving with other teenage passengers are at a greater risk of crashing. The risk is increased with the number of passengers. It should be noted that Leal’s crash was due to reasons unknown and the accident is currently under investigation. Let the experienced J. Gonzalez Injury Attorneys help deliver justice if you or a loved one has been involved in a car accident. J. Gonzalez Injury Attorneys are dedicated to seeking and winning compensation for individuals involved in a car accident. Don’t let your voice go unheard. Contact us at any of our offices in McAllen, Brownsville, or Rio Grande City today. Images and Information can be attributed to kurv.com and the Monitor.